Credit unions have a reputation for having lower fees than banks and for offering better rates on loans and credit cards. Despite this, membership isn't growing as fast as you would think. "A lot of people know about credit unions, but their advantages aren't always top of mind," says Patty Briotta, spokeswoman for the National Association of Federal Credit Unions in Washington, D.C. "Oftentimes, people don't look into credit unions until they're shopping for a particular product like a mortgage or a car loan, or when they move and need a new financial institution." Here are a few reasons why many consumers hesitate to join credit unions, often for reasons that usually don't make much sense. Unlike banks, credit unions serve a specific group or community, which means there are rules about who can join. In some cases, eligibility can be based on where you live, but oftentimes a credit union exists to serve a particular profession, college alumni or even a religious institution. "For a lot of people, there's still a perception that they aren't eligible to join a credit union because they don't meet the criteria," Briotta says. "But that just isn't the case because there are so many credit unions. There are probably several that most of us are eligible to join." Finding an eligible credit union isn't difficult. Briotta advises consumers who are interested in joining a credit union to visit CULookup.com. The site is free, and consumers can search for credit unions based on location, the name of the institution or a particular affiliation like a profession or employer. But consumers shouldn't limit their search to their own status. "In a lot of cases, you may be eligible for a credit union because of a family member's status," Briotta says. "So it's important for consumers to understand that eligibility is a lot broader than they probably think." You might not see a credit union on every corner, and you definitely won't see a credit union that has as many physical locations as the big banks. But limited locations may not mean as much as you think, Briotta says. "A lot of credit unions partner to offer a shared banking network," she says. "That means there are more ATM locations than just the branch, and many of those locations are inside 7-Eleven stores, so getting cash is actually quite convenient, even if you're away from your branch." Usually, credit union members can take advantage of a shared banking network without incurring fees, Briotta says. But they also can perform additional banking services through sister credit unions. 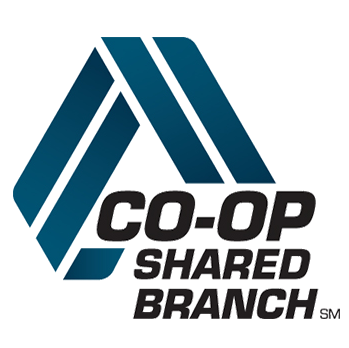 "It's part of the cooperative nature of a credit union," Briotta says. "Many credit unions will allow members of other credit unions to do their banking at their locations." Whether you're thinking of changing from one bank to another or making the switch to a credit union, the power of inertia can often keep you from moving. "A new or raised fee or a bad customer service experience is what it usually takes for a person to switch financial institutions," says Thomas Nitzsche, a St. Louis-based spokesman for ClearPoint. "Unless that happens, many of us are resistant to change." The very same conveniences that banks pride themselves on, like automatic bill payments, often hinder consumers who are thinking of switching because there's a perception that switching automatic payments and other financial details can be a hassle, Nitzsche says. But Briotta says that shouldn't be a reason for staying put if you're unhappy. "It'll take a little work, but many credit unions offer free switch kits that will walk you through the process," Briotta says. " Banks spend a lot of money on slick advertising campaigns in just about every medium. In fact, the financial services industry spends tens of billions of dollars annually, and the numbers just keep rising. As it turns out, that's money well-spent. "One reason that consumers stay with large banks rather than switching to credit unions is that we tend to fall prey to smooth marketing," says Elle Kaplan, CEO of LexION Capital in New York City. "But if a large bank isn't giving you the best deal, it's worth the effort to move that money to a credit union." Credit unions do advertise, but according to Nitzsche, their pockets aren't nearly as deep as banks. Primarily, that's because credit unions are member-owned, so instead of spending money on ads, profits are rolled back into the institution to make loans cheaper. "Local credit unions rely heavily on local community partnerships, referrals and word of mouth. Some consumers may have the perception that more advertising equals better service, which isn't necessarily true," Nitzsche says. Whether they're offering airline miles, discounted hotels, cash-back rewards or other perks, banks have made good use of loyalty programs that keep their customers focused on earning points. But if you're focused on rewards, you're not seeing the big picture, Nitzsche says. "Many credit unions offer rewards on debit cards and credit cards, too," he says. "And quite a few banks stopped offering debit cards with rewards a few years ago. Plus, many banks have discontinued offering free checking accounts." In some cases, Nitzsche says consumers can become so focused on rewards programs that they often miss the fact that the gains from those programs are a lot less than the fees they're paying to their bank. "When you sit down and do the math, the risks and losses associated with loyalty programs often surprise consumers," he says. "The benefits of doing business with a credit union are far more advantageous to consumers in the form of better rates on loans, deposit accounts and lower fees." If you believe that credit unions may not be as cutting edge as banks with online and mobile banking, you're probably not alone, says Terry Redding, a vice president at CFI Group, a research firm in Ann Arbor, Michigan, that studies consumer sentiment. "Credit unions have been slow to jump on the bandwagon to aggressively promote their online and mobile offerings," Redding says. "This applies to both recruiting new members and in promoting the features and benefits to their existing members." While Redding expects credit unions to promote technology more aggressively, it's not necessarily true that there's a technology gap. In fact, a 2015 CFI satisfaction index indicated that credit union members were highly satisfied with their financial institutions and their banking technology. Banks scored a 79 out of 100 in customer experience versus 87 out of 100 for credit unions.